Know the job interview questions you will be asked and plan your best answers. This is the most effective preparation you can do for your job interview. 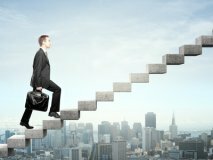 It builds your confidence and greatly increases your chances of success in the job interview. Interviewers typically use a number of standard questions, regardless of the job being interviewed for. 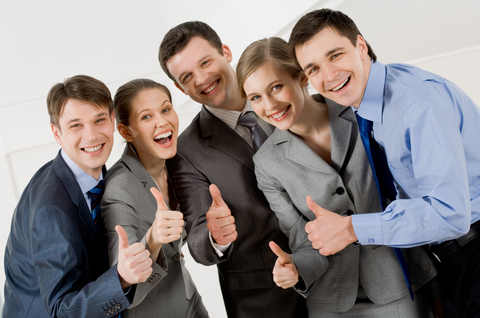 We list all these interview questions and provide advice and excellent sample interview answers. 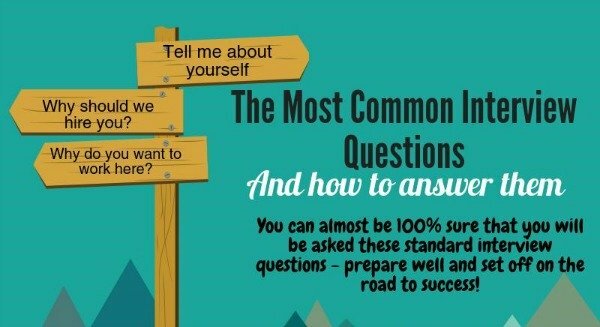 What Are The Most Common Job Interview Questions and Answers? 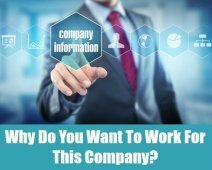 Interview questions usually include "Why do you want to leave your job?" We show you how to answer this question with confidence. 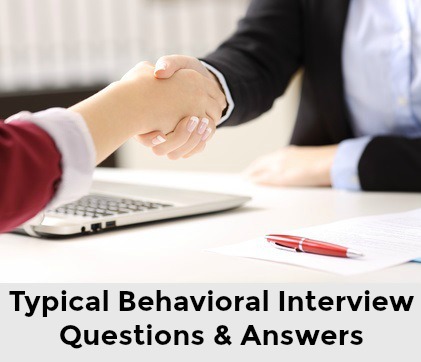 A large number of interviewers use the behavioral interview to explore a candidate's job suitability. Develop a good understanding of this type of interview and familiarize yourself with a list of typical behavioral interview questions. Go through the behavioral interview answer guidelines to plan expert answers and prove to the interviewer how your skills and abilities best meet the job requirements. How do you answer tough interview questions? 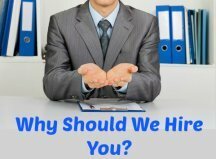 Gaps in your resume, reasons for leaving previous jobs, questions about the salary you are looking for and other tricky areas can give rise to tough interview questions. Get advice on giving effective and professional job interview answers to these difficult questions. Be ready for fun interview questions that seem to have no relevance to your ability to do the job. Many companies use these unusual interview questions to see how you react to the unexpected! Use the sample answers to be ready and calm when faced with these strange questions. Hard interview questions that can put you on the spot. Communication skills are integral to almost every job. Find out how to answer communication skills interview questions and how to demonstrate your communication ability in the job interview. Illegal job interview questions can pop up anytime during the interview. Become skilled at recognizing these questions and be fully prepared to deal with them in a professional manner. The job interview is your greatest opportunity - present yourself as the best candidate. Thorough preparation of job interview questions and answers ensures you are well on your way to success! As important as preparing the best answers to common interview questions is knowing the right questions for you to ask the interviewer. The candidate who asks insightful and meaningful questions stands out. For recommended examples of good questions to ask in your job interview go to the comprehensive list of questions to ask the interviewer. Use the Search Box below to find interview answer advice and help for all interview questions. To view job interview questions for specific jobs and use the practical guidelines to prepare your best answers, go to the specific job interview guide for different positions. From accounting to sales jobs, know which interview questions to expect. This mock job interview will help you practice your interview technique and be prepared and confident for the real thing. Are you preparing for a second interview? Go to second interview questions with answer help.